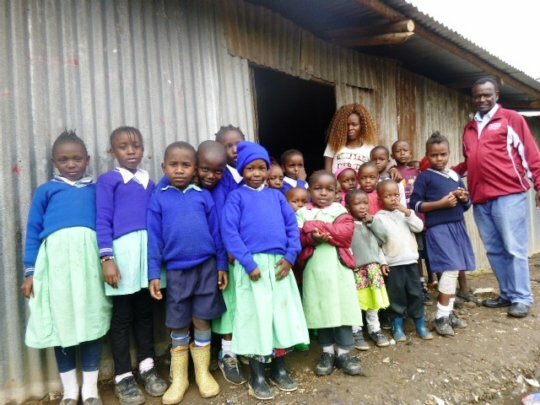 The main goal is to support the Glory center school located in Kiambiu slums in Nairobi in order to provide free education to around 100 children who hail from the poorest in the informal dwellings. It will also support them with other basic needs which will create a conducive learning environment. There are currently more than 25000 vulnerable children living in Nairobi informal dwellings who are out of school due to abject poverty. Their parents are either in financial or healthy crisis, therefore they can't afford to feed their children properly and pay the school fees. As a result, the vulnerable children are at risk of being exploited through child labor or lured into prostitution in exchange for money and might acquire HIV/AIDS through the already infected adults. The main objective of this project is to provide children from Kiambiu slums in Nairobi with good and free education, as it is the first step to going out from rough poverty. We are therefore supporting the Glory Education Centre school. This tiny school currently receives 98 pupils aged between 3 to 10 years coming from the surrounding slums. Our activities are focused on supporting the school with: school stationery, food, uniforms and health program. This school is entirely funded by the parents of the pupils and the support from the Tumaini NGO through local and international donors. The 3 teachers and all the resources (books, pen, desk, board, etc) are paid by the fund raising we manage to get. The children go home for lunch as the school is unable to provide them food but most of their family can't afford a complete and healthy food for them. This is why Tumaini try to support the school and provide as much as possible food for lunch. => For now we are able to bring them twice a month food for the 98 pupils and teachers, we hope to be able to increase this rate very soon. => Currently we successfully managed to provide uniforms for the half of the children , still the other half has to wear home clothes. Tumaini invites every year professionals from government and partners, we organize with them vaccination campaign as the pupils families are not able to afford those services. => Currently, we have successfully managed to vaccinate all of our pupils. Tumaini helps the school to provide for every pupil enough stationery such as books, notebook and pencil and also furniture such as table, chairs, board etc. If we manage to fully support Glory Centre ,we aspire to fund more schools in order to support even more vulnerable children. Through good education they will have a breakthrough to a better and sustainable life.